Wed., 4 Sep. - Sun., 22 Sep.
Fri., 8 Nov. - Tue., 19 Nov.
Fri., 6 Dec. - Mon., 23 Dec. Mon., 6 May - Mon., 17 Jun. Sun., 1 Mar. - Sat., 14 Mar. Thu., 25 Apr. - Wed., 19 Jun. Mon., 9 Dec. - Mon., 23 Dec. Tue., 7 May - Thu., 13 Jun. Fri., 6 Dec. - Thu., 19 Dec. Thu., 9 May - Wed., 12 Jun. Tue., 11 Jun. - Wed., 10 Jul. 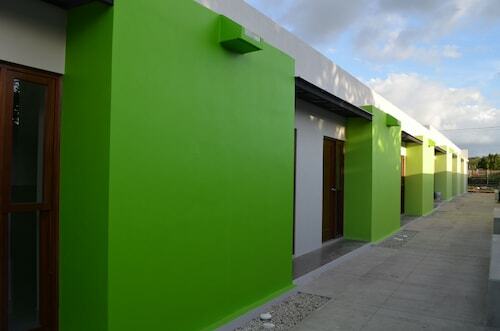 See all 118 properties in Augusto C. Sandino Intl. Situated in Managua, this spa hotel is within 9 mi (15 km) of Multicentro Las Americas Shopping Center, National Palace, and Trabajador Nicaraguense Monument. Plaza de la Revolucion and Managua Cultural Center are also within 9 mi (15 km). 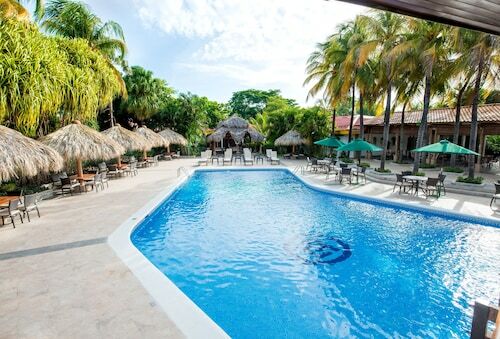 Located near the airport, this family-friendly hotel is within 6 mi (10 km) of Multicentro Las Americas Shopping Center, Managua Cultural Center, and Trabajador Nicaraguense Monument. Plaza de la Revolucion and Managua Cathedral are also within 6 mi (10 km). 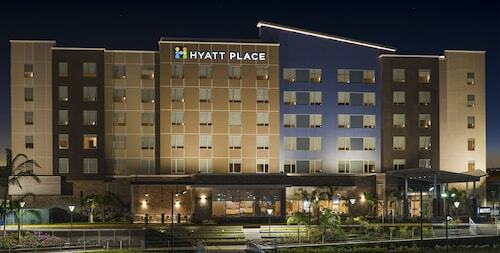 Situated near the airport, this hotel is within 9 mi (15 km) of National Palace, Plaza de la Revolucion, and Managua Cathedral. Presidential House and Plaza Inter are also within 9 mi (15 km). 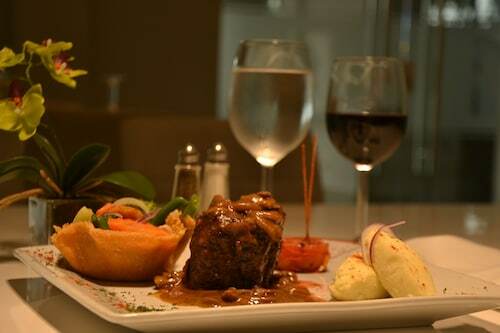 Situated in Managua, this hotel is within 9 mi (15 km) of Multicentro Las Americas Shopping Center, National Palace, and Trabajador Nicaraguense Monument. Plaza de la Revolucion and Managua Cultural Center are also within 9 mi (15 km). 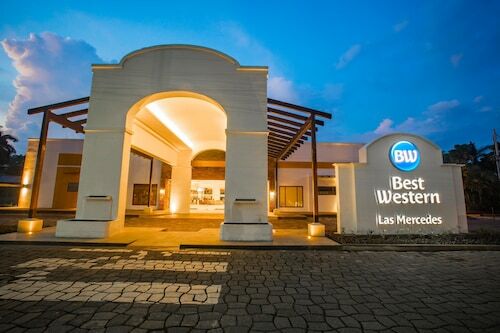 Situated in Managua, this hotel is 2.9 mi (4.7 km) from Multicentro Las Americas Shopping Center and within 6 mi (10 km) of National Palace and Trabajador Nicaraguense Monument. Plaza de la Revolucion and Managua Cultural Center are also within 6 mi (10 km). 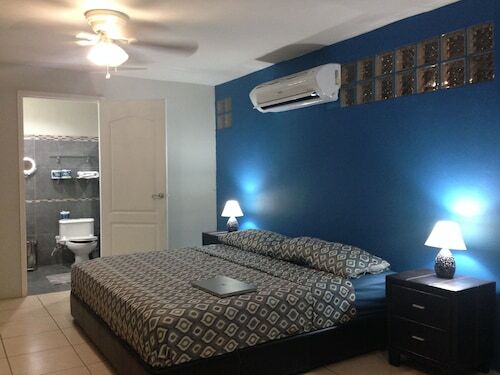 Situated in Managua, this hostal is 1.6 mi (2.6 km) from Multicentro Las Americas Shopping Center and within 6 mi (10 km) of Japones Park and Los Robles Park. Galerias Santo Domingo Shopping Center and Central American University are also within 6 mi (10 km). Situated near the airport, this hotel is 0.2 mi (0.3 km) from Multicentro Las Americas Shopping Center and 3.1 mi (4.9 km) from Japones Park. Los Robles Park and National Palace are also within 6 mi (10 km). 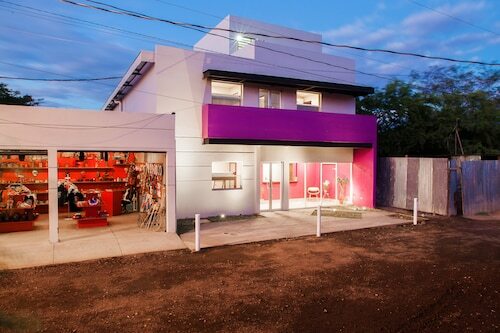 Located in the heart of Managua, this eco-friendly hotel is 0.2 mi (0.3 km) from Galerias Santo Domingo Shopping Center and within 3 mi (5 km) of Los Robles Park and National Autonomous University of Nicaragua. Japones Park and Central American University are also within 3 mi (5 km).